It was quite a good week for thrifting last week, I picked up these nice vintage sheets (plus one more, since this picture was taken!) and a bunch of childrens sewing patterns and knitting patterns - even though I can't knit! one day ... Obviously I have no use for these kids sewing patterns yet but I thought they were too cute to pass up. I think 50s/60s kids were definately best dressed era, don't you? such simple shapes, so sweet. 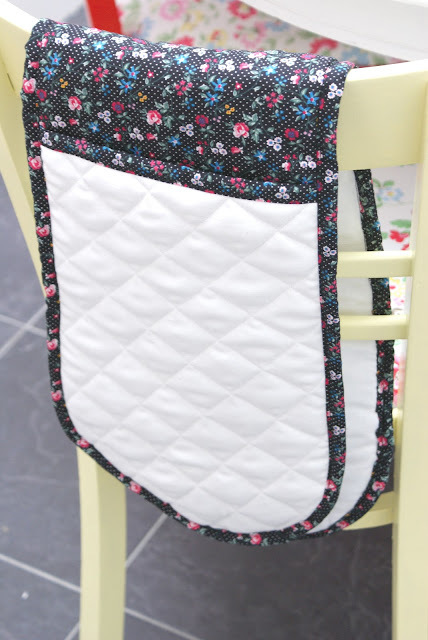 Lovely oven mitts! I would never have guessed you had any black fabric in your stash at all. But I can see how this one could live quite happily in your stash. Lucky find on the kids patterns and those sheets are so pretty! Your home is looking so pretty!! My nan has sheets very similar, one of my favourites is one with yellow and brown flowers. 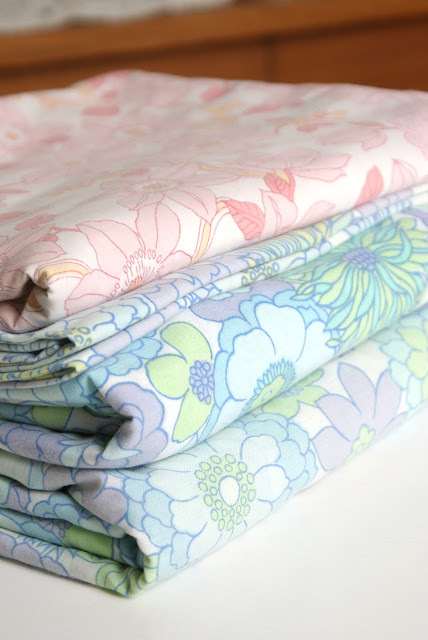 It´s amazing how were old fabrics made, because these sheets from the 60´s are as new! Love this oven glove! Love the mitts! Those sheets are so cool and the patterns are adorable!! 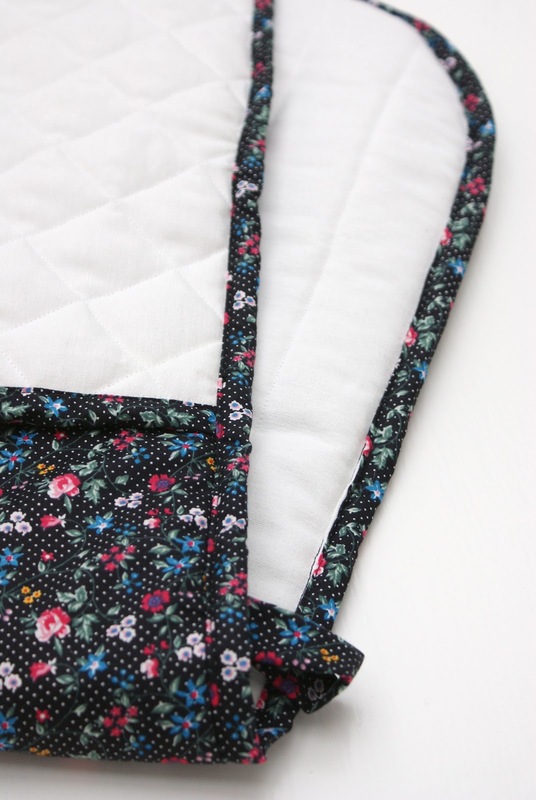 I keep meaning to sew a dress for my little girl but it keeps dropping down the list :( Think I'll wait for warmer weather!